It's Friday! Hooray! That means another First Page Friday and this one includes examples from some of my favorite books and some that I want to read now. Big thanks to William and Heidi for all their efforts this week. If you would like your first page critiqued, follow the submission guidelines in the sidebar. The pavement was a scab covering a wound that wouldn’t heal. All his life, Jack had longed to scratch it, to peel up the layers, and expose the malignant thing poisoning Miami’s heart. Car horns echoed off the skyscrapers surrounding the excavation. The drawbridge crossing the river had been raised, transforming the streets into parking lots and filling the air with exhaust. 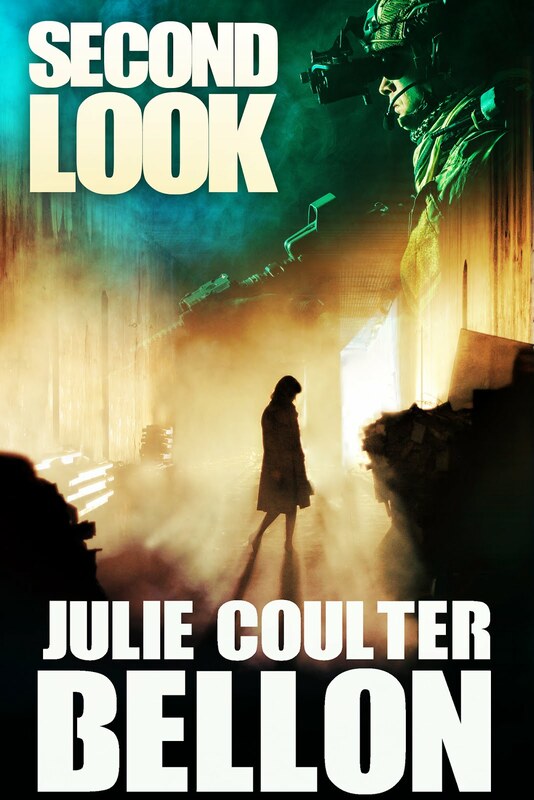 Jack blinked sweat from his eyes and then peered through the viewing scope of the electronic transit. The instrument magnified and tunneled his vision. Heat rose from the pavement in languid waves, lending an illusory quality to the backhoe and the young woman standing before it. 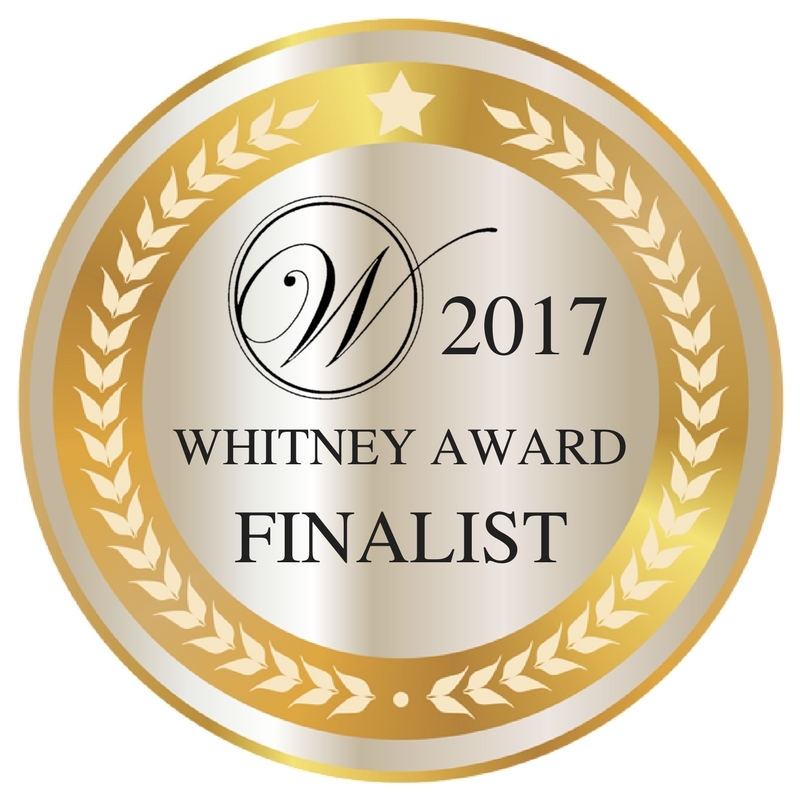 Luisa’s curly brown hair spilled from her bandanna down her tanned shoulder as she directed the backhoe to scrape away the layers of pavement and fill that had covered the grounds of the Royal Palm Hotel for the last eighty years. After a final pass, the backhoe operator dumped a pile of soil on the pavement beside her, retracted the bucket, and cut the engine. “What’s his name isn’t going to like you tearing up the ruins,” Luisa said, as she grabbed the prism rod and approached the edge of the excavation block. “You let me worry about him,” Jack said. He watched Luisa step off the edge of the pavement, drop two feet in elevation, and land in 1926. 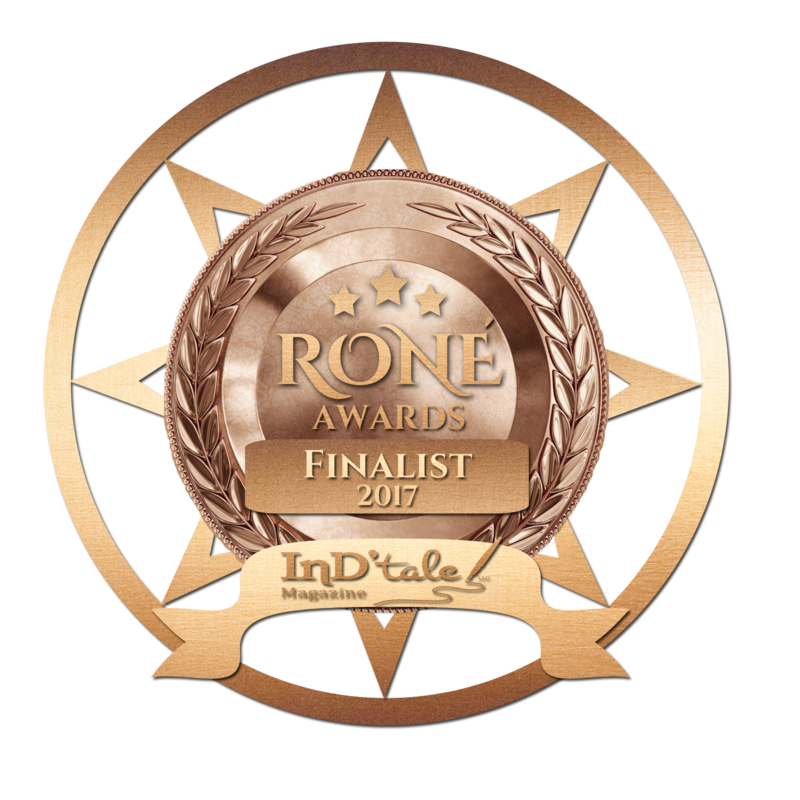 She then crossed what was once the neatly manicured ground of the Royal Palm Hotel, her boots kicking up a cloud of dust behind her as she negotiated the desiccated landscape of sand, broken brick, and exposed limestone. A local reporter tried to talk to her, but she ignored him and continued on her way. Upon reaching the ruins, she climbed over the crumbling brick foundation and down another couple feet into the basement. The girl was painfully shy, and he could hardly blame her. The injuries she’d suffered during that hurricane had left her with amnesia. Her mind had dealt with the pain in much the same way as Miami had dealt with the destruction of the Royal Palm Hotel, by burying it. But nothing stays buried forever. A strong point of this first page are the great descriptions, given in a fresh, interesting voice. A hint of mystery (nothing stays buried forever) is a nice tease, and hints that something bad will be coming. We also get some subtle hints of other problems – such as references to a hurricane and Louisa’s amnesia. The tone was interesting enough to catch my attention. Of course, once you’ve caught a reader’s attention, the trickier half of the equation is keeping it. Is this sci-fi/fantasy or just metaphorical realism? Is it archeology or hurricane cleanup? Is Louisa shy or not? This may or may not be fantasy. But the first paragraph alludes to the city as a living entity, dealing with a malignant wound. Nice metaphor, and if you intend this to be a fantasy, it works. But if you are aiming for contemporary fiction of any type, you will be giving mixed signals to your readers. There is an unspoken agreement between author and audience. The audience expects the author to establish the rules and parameters of the new world they are entering. In a way, they are very trusting for the first few pages. Maybe overly trusting. Because they will take many things at face value initially. 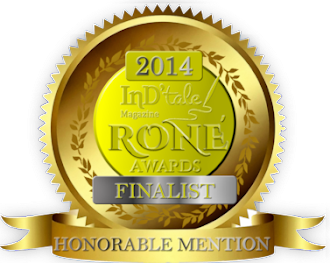 So your genre will predicate not only the words you use but the readers’ response to them. There are other mixed signals in this first page. Is this an archeology dig? That was my first impression. But other references make it equally likely that this is the clean-up effort after a big storm. How about the intriguing phrase “landed in 1926”? Again, the first fleeting thought a reader may have is that this is going to be a story about time travel. Obviously, the sentences right after will probably convince the reader this isn’t a time travel story. But when combined with personification of the city, as well as other contradictory information, the reader may be excused for being a little unanchored as they try to determine what way the story is heading, what type of story they find themselves in, and what the actual problem is going to be. What about Louisa? We are told she’s shy, but she comes across as confident and capable. She’s grinning, she’s giving orders to the back-hoe operator. She doesn’t strike us as shy. She does ignore the reporter, but that could be out of anger, annoyance, or not wanting to give a comment. At this point, there is no clear cut intro to an inciting incident or a story-worthy problem. There are a few tantalizing hints: Louisa has amnesia, and something is buried, presumably in her subconscious. Then there are the references to something malignant at the heart of the city. If this is fantasy – something wicked this way comes. If this is something more literal – it could be hinting at corruption in the city government, or some past crime that has been covered up. But at the end of the day – the page, I mean – the reader still will be vague on what type of problem they are facing. I say they, because when we read, we subconsciously place ourselves in the character’s shoes, which explains why a reader can be a little impatient when information vital to their well-being (in other words, the character’s well-being) is not forthcoming in a clear, easy-to-understand manner. Let’s take a look at some random examples. These are mostly first sentence/first paragraphs that introduce some type of problem. As you can see, it doesn’t matter what genre or style you are writing in, because this rule is practically universal. Or how about John Grisham’s old classic, The Client: “Mark was eleven and had been smoking on and off for two years, never trying to quit but being careful not to get hooked.” Obviously, there’s a problem, although in this case, the smoking is just the tip of the iceberg of problems bearing down on Mark. But it’s a great example of using a smaller problem as a transition to the main problem. Even 200 years ago, Jane Austen knew this rule. Take a look at Pride and Prejudice. The first two pages establishes (and indeed, it’s hinted at in the well-known first line) what the problem is going to be. All the rest – how the story plays out, are merely details embellishing and explaining how the problem (needing to find suitable husbands for five unmarried daughters) will play out. 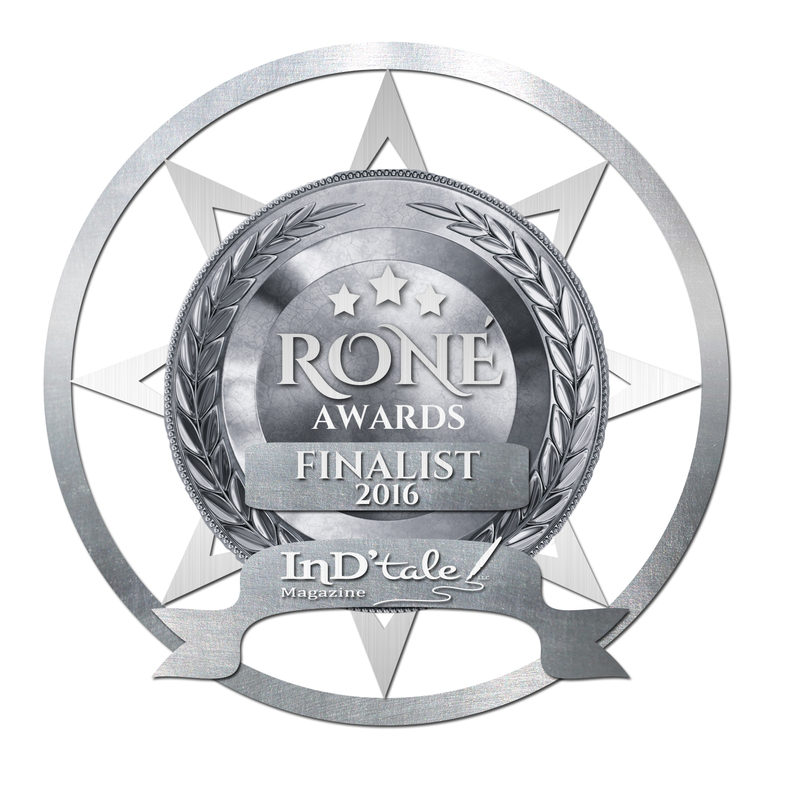 Other authors grabbed at random from my bookshelf show similar results – Mary Higgins Clark, Brad Thor and Daniel Silva’s espionage novels, Charles Todd’s Ian Rutledge mysteries. Start analyzing the first page or two of just about any story, and you’ll find regardless of genre, this tends to be a common element of successful storytelling. You are under no obligation to name the problem in the first sentence, although if you have a great first line that also includes the crux of the conflict, it can be a great tool. The rule of thumb is that within the first five pages, the conflict should be apparent. If you can put at least a taste of it in the first page, even better. You’ll notice that the examples given here do mention the conflict, and at the same time, leave the pleasure of discovering the how and what and why for the reader to discover. What your first page needs to do, ideally: establish setting, voice, introduce characters and their basic relationship with each other and the world around them, and set up the problem, even if we don’t get down to all the nitty-gritty details until later in the story. Whew! That’s a tall order for a first page to fill. But those are the rules of the game, and if you can find a way to creatively fulfill them, you’re going to have a great start. I know, a few lucky people figure a way to break the rules. But it’s usually best not to assume you are going to be one of the lucky ones. Instead, I’d recommend fixing the areas that give readers an ambiguous mental image of what is happening and make sure you have a definitely stated problem, and you’ll strengthen your story and keep the reader on the hook. Good luck and happy writing! So yesterday my amazing writer friend Jordan McCollum posted on her blog about "Tension Check" and she included a link to a scene chart. As I looked it over, and read her reasons for using it (she's a lot more organized writer than I am and I know I'll never keep up) but in this case I decided I was going to use it. The more I write/publish the more I learn about the craft of writing and I really feel like I'm improving with every book. 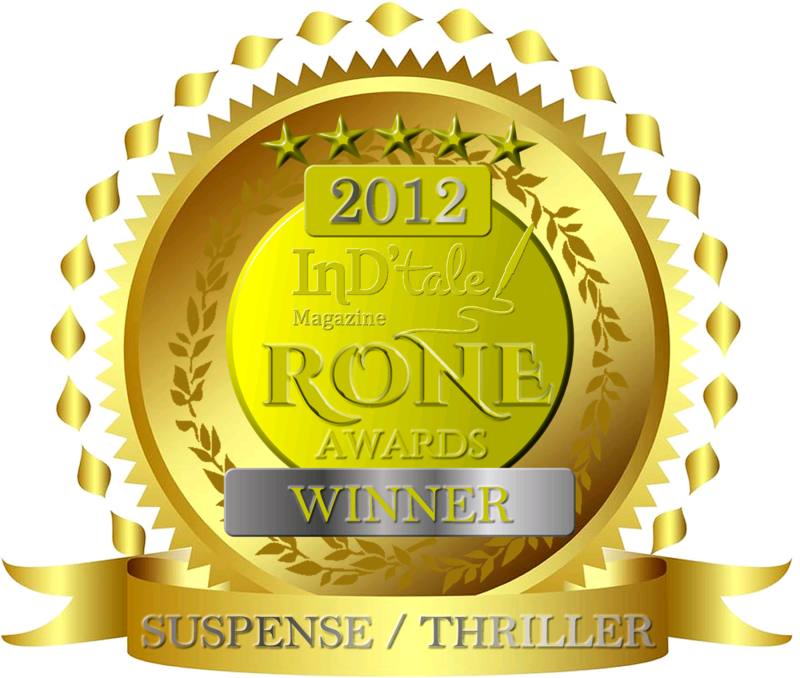 Tension is huge for a suspense writer, and I try to be very aware of it in my writing. I once had a reader tell me they were absolutely exhausted when they were finished reading one of my books. I think that's a good thing, overall, but there also has to be a bit of downtime and depth. Hence the reason why I am moving away from my pantser habits and becoming the perfect candidate for using a scene chart in my chapters. So, that's what I'm working on this week. Do you have something similar to a scene chart that's helped you in your writing? So, here I am, up way too late working on the edits for my new book. I am so stoked about this book (does anyone say stoked anymore?) My son is home and we're catching him up on Castle at the same time, so, you know, it's a party. Here's some music that was keeping me awake tonight (this morning) and focused. No laughing. I picked this one because I want to dance as good as this guy and it has a great beat. And don't worry, this one is the super clean version. And I turned it up LOUD. How did you do this week? And what's been on your writing playlist? Talk about divided loyalties! My BYU team was playing the last five minutes of their second-round NIT tournament game against Mercer and it's time for my shows. What do I watch? Finish the game? Castle? Hawaii Five-O? What would you do if you had five of your sons sitting on the couch glued to the game? Yeah. We finished the game. But, as soon as BYU won we turned it to Castle. Thank goodness for DVR, that's all I can say. Castle was really an ensemble show last night. We had the Beckett/Castle thing of her wanting to know who Jordan was and it really signified a lot about their relationship with his reluctance to talk about it, her wanting to know, subtly digging down to that next level of "them." When he finally tells her, it is such a good scene, although I'm really ready for "I love you," instead of this "I like you." After so many years together and everything they've been through, I like you seems flat at this point. The star of the episode was Ryan. His undercover self was so opposite of how he usually comes across it surprised me. The situation reminded me a bit of a 24 ep I watched once, it was so tense. I loved Siobhan's reaction to seeing him and how it played out with his wife. So, so good. And the ending between them was perfection. Although I still don't think purple is Ryan's color. The funniest moment, though, was when Ryan calls out his crew and there's Castle peeking around the corner. "Really? I forgot my vest." Seamus Dever, the guy who plays Ryan tweeted that Nathan Fillion had ad-libbed that, which makes it even funnier. There is just something magical about this cast. Love them. Hawaii Five-O had some really great moments, but overall it wasn't my favorite episode (It needed more McRoll). The look on Kamekona's face when Catherine walked in was funny, the shipping container dropped on the bad guy, and the "book 'em Kono." All really well done. Even the Magnum P.I. a capella singing was good, but only because of Danny's reaction. I didn't really like the carguments this time. There is such a fine line between Danny whining and Steve looking indulgent during the whining, and a true banter. Last night felt a bit more like whining. But the best part of all was all the great scenery shots. Seriously, watching them actually made me look up airfare to Hawaii. Someday . . .
What did you watch last night? Are you watching any March Madness or NIT games? Book Review: Poaching Daisies & A Contest! I got a late start reading this book, but that's okay, because it ended up being a book that I couldn't put down. I lost sleep trying to finish it, because I couldn't decide who I thought was the bad guy! 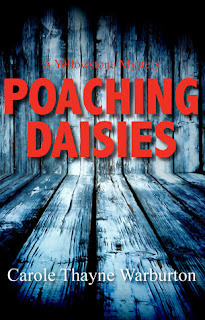 Poaching Daisies by Carole Warburton is a mystery that takes place in Yellowstone National Park. 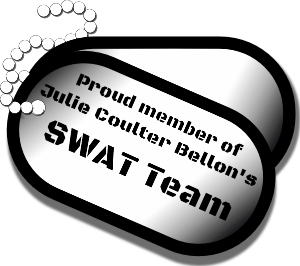 She has some really great characters---environmentalists, gun-lovers, cute park rangers, and a villain that will surprise you. I loved how well the author used Yellowstone in the story. It was an incredible backdrop and really made it stand out from the other mysteries I've read this year. Penny is a temporary employee who failed to get into the police academy. She is small in stature, but wants to prove her worth, and while she's clearing a trail she comes across bear attractant and a dead bear. Before she can alert anyone shots are fired and she's running for her life. But who would want to kill bears? Or her? When she makes it to the ranger station, they go back to the scene of the crime, but there's no evidence that anything she said actually happened. No one believes her and she's humiliated. Until another bear is killed soon after. Then things really start to get interesting with several more attempts on her life. This was a really good, twisty mystery and I loved the fact that I wasn't exactly sure who was the villain until the very end. Sometimes, it's just too easy, you know? The well-developed characters with all their quirks and office-type gossip (as much of an "office" as you can have in a national park) really drew me into the community the author created and made it feel more real. Some of Aunt Iris's antics made me laugh out loud and Russ the gun-toting guy with a heart had some zingers that were so funny. But the part I loved best was the cat and mouse game because it heightened the tension and my suspicion of everyone. I was really kept guessing in this one. Ms. Warburton is quickly becoming a favorite mystery writer of mine. There were a few editing issues, but overall the story was strong and I really enjoyed it. The vivid description in this book will make you want to visit Yellowstone to see its natural beauty, but the story itself will make you stay up late turning pages. A cool mystery in a hot park definitely started my spring season off right. Penny Thorton's dreams of being a park ranger start to unravel her first week on the job when she finds a dead bear in Yellowstone's backcountry. Shots are fired as she runs away, but once she tells the authorities, all evidence evaporates. Penny's aunt Iris, who is bent on eradicating an invasive species of daisy from the park, puts that mission on hold when more bears are killed and she becomes entangled in the mystery. After several attempts on Penny's life, she and Iris learn to trust no one not even their friends. Also, to celebrate the release of Poaching Daisies, the talented Carole Thayne Warburton is giving away a $50 gift certificate to her ETSY shop--Paradise Pottery. Her pottery is beautiful, so this is a giveaway you don't want to miss. Want to win? Follow the easy instructions below. 1. Leave a comment telling us what you liked about the review and why you are excited to read Poaching Daisies. For each review you comment on, you'll receive a separate entry. Don't forget to include your email address. 2. Tweeting about the review, or posting to your blog or Facebook will earn you additional entries. Just leave us a link in the comments section to your post. Contest ends April 3, 2013. This week's entry had an interesting opening from Wikipedia. I couldn't wait to see what Ms. Shreditor said about it. Thank you to Jane and Ms. Shreditor for their time and effort. As always, it is much appreciated. See you next week! I opened the door and we walked into an apparently empty bedroom. Our noses were immediately assaulted by one of Mother Nature’s most imaginative, yet horrible, smells. “Wha--” she started to say, but I didn’t get to hear the rest. The true source of the smell was literally upon us. I couldn’t have been more surprised when the most enormous dog I had ever seen charged out of the closet, reared like a stallion and placed its front paws squarely on Kell’s shoulders. “You always blame me for everything,” I whined, as she staggered under the dog’s weight and tried to keep her balance. “Oh, he seems friendly enough,” I offered lamely, while hovering anxiously near the duo. I had never had a dog of my own, and was a little baffled over the best course of action. I like that this story begins with a hard sensory hit (i.e., the stench of the dog). The reader immediately wonders what’s causing the smell, and the story answers that question in short order. During my first read-through, I wondered if perhaps the charging dog should be moved to the beginning of the story, but the unexplained smell at the beginning also creates a certain element of suspense. The dialogue is concise and snappy, as dialogue generally should be. It’s economical. In most cases, after all, you want your characters to sound like actual talking people and not Shakespearean soliloquies. Watch closely for extra words that might be weighing it down. For instance, I think “bad gas” flows much more naturally than “bad intestinal gas.” “Intestinal” is implied contextually, so I think you gain more by losing it than keeping it. Is there a way to introduce the main character’s name sooner? Knowing Kell’s name without knowing the narrator’s name makes this first page feel a tad off balance. Julie sent a note along with this week’s submission explaining that the story opens with an epigraph from Wikipedia because the main character is a Wikipedia addict. I think that this device can work, as I’ve seen similar ones in other YA novels. I seem to remember reading one wherein the heroine was obsessed with phobias, so chapters often opened with definitions of various phobias. Long story short, this can work if it’s made clear early enough in the book that the heroine is a Wikipedia junkie AND if there are Wikipedia epigraphs in chapter openers throughout. Otherwise, the one accompanying Chapter 1 might feel a little gratuitous and out of place. If this is a stand-alone Wikipedia excerpt that will appear on a front-matter page before Chapter 1, consider that an editor might be reluctant to run it in such a high-visibility location regardless of the character’s Wikipedia addiction. 1) Wikipedia is not an independently verifiable source, and 2) Wikipedia text changes constantly because they’re essentially open-source documents. So consider that today’s Wikipedia copy could be tomorrow’s cache. Profanity in Books--What's Your Dealbreaker? Today I am taking an informal poll of my readers: How much profanity has to be in a book before you will stop reading it? And what are your reasons? For example, are you the type of reader that likes no profanity in a book? Do you mind a damn or hell every now and then? Do you skim over profanity? Is profanity not a deal-breaker for you at all in books? For me, I prefer no profanity at all, but I don't mind a hell or damn every now and then, particularly if it's the villain. But I'm curious at to where other readers draw the line. And just because I'm Mormon and we like to make up faux swear words, I'm including this video. WARNING: It has a lot of faux swear words in it. And it's freaking funny. Last night's Castle had some scary moments for me. I don't like "evil" elements in movies, television, or books and the whole premise of last night's show was just creepy. Honestly, I had to fast-forward a bit at the end because it was a bit too much to watch while I'm alone in a dark room right before I go to bed. I don't want to have nightmares and you all know I'm a scaredy-cat. But I did like the lighter moments between Perlmutter (when he called Rick Defective Castle I laughed.) But the funniest moment was when Espo is in that creepy inn and he's telling Kate he's not scared, he's not a kid, and that guy sneaks up on them and Espo about jumps out of his skin. I laughed and laughed. Best part of the show. Castle was back as his high drama self. A tiny bit over the top, but still adorable. Wes Craven's reaction to his phone call was funny, because I think writers really do talk to each other that way. All helpful while on the phone, but after they hang up, they're all, "yeah, that story stinks!" Haha. Anyway, I've read some spoilers about some upcoming eps of Castle and I'm really excited about them. I think last night's Hawaii Five-O was my favorite of the season so far. Except for the whole "Steve's mother" storyline. I know, I know, I'm beating a dead horse, but seriously, she's supposed to be this amazing superspy and she takes a microfiche that has been safe for thirty years and puts it in a safe behind a picture where any thief who's ever watched television would know to look there and steal it? *sigh* It's just so dumb. But let's talk about the good part. Steve and Catherine. I love them. I love that Catherine is so real and she tries to do her best with everything she's given. The roller derby storyline was awesome (and I think Crimson was from the first movie of The Work and the Glory) and Catherine was so good with her reluctance and then totally getting into it! But the best part was we finally got some concern and a bit of protectiveness from Steve over her being in a dangerous situation. When he hears the gunshot in the roller derby arena, his first thought is her and he goes in, gun drawn, shouting her name. Then, with the cute, "You okay?" *le sigh* I loved that part. I also loved the kiss at the end. Alex and Michelle have really great chemistry and I hope the show exploits that more. So, there you have it. A great night of television for those of us who wanted to be entertained with some action and a little romance. What did you do last night? So, yesterday, while I was at my son's bedside, I was reading a book called The Power of Starting Something Stupid by Richie Norton. It's a quick read, but it's really quite profound. The author starts out by telling about Gavin, his 21 year old brother-in-law who passes away in his sleep. He then talks about his son Gavin who also loses his young life. Believe me, reading that, while in a hospital waiting for my son to come back from surgery made me all weepy. But there was a point to it. He talks about Gavin's law---Live to start and start to live. We are all waiting for something---more time, more energy, whatever it is, but sometimes we forget that there is a limited amount of time. Don't spend it all waiting. Start something. He goes on to describe all the ideas that were once called "stupid." The author mentions the story of Sara Blakely, the founder of Spanx. She said, "she approached several lawyer who thought her idea was so crazy that they later admitted thinking I had been sent by Candid Camera." But even so, she persisted with her idea and became the youngest self-made female billionaire. There were other examples, like when Walt Disney was fired by a newspaper editor who said Walt had no imagination or good ideas. But the thing was, none of these people ever gave up on their dreams or their "stupid" idea. There was one quote that sometimes a smart idea is masked by the label of stupid. I like that thought. We should examine our ideas more closely to see if that's true or not. Each chapter in the book had me nodding my head. They were things I'd thought of before, but never quite put into words. This book puts it out there. The thing I liked most about it was how easy it was to read, that it was full of examples of people who had "stupid" ideas and persevered and made it through all that. There are quotes sprinkled throughout that are thought-provoking and yet it still stays conversational. It moves from a "thought phase" to an actual "let's do this phase," which I also liked. I have some "stupid ideas" that I might just re-think after reading this book. What if the smartest people in the world understand something that the rest of us don’t? (They do.) What if they know that in order to achieve success, they will sometimes have to do things that others may initially perceive as stupid? The fact of the matter is that the smartest people in the world don’t run from stupid, they lean into it (in a smart way). -How to crush fear, make dreams happen, and live without regret. -How to overcome obstacles such as lack of time, lack of education, or lack of money. -The 5 actions of the New Smart to achieve authentic success. No more excuses. Learn how to start something stupid—the smartest thing you can do. 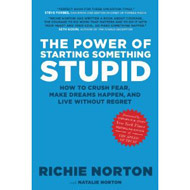 Drawing on years of research, including hundreds of face-to-face interviews and some of the world’s greatest success stories past and present, Richie shows you how stupid is the New Smart—the common denominator for success, creativity, and innovation in business and life. 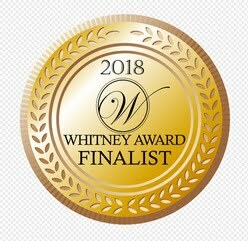 I did have a wonderful book review to post, but I was at the hospital with my son for eight hours today and even though I was just sitting at his bedside, I am exhausted and just cannot get up any oomph to post my review. I hope you will all bear with me and come back tomorrow to read it. I know it will make more sense and be readable if I can just crawl in my bed and get some rest. I think I'm sort of rambling now, so I'm going to go get my comfy PJs on. See y'all tomorrow, okay? I am so glad today is Friday because that means another First Page Friday to read. I always learn so much and hope it's helpful to you, too. Thank you to Ellise and Ms. Shreditor for their time and effort. If you would like your first page critiqued by a national editor, please see the sidebar for instructions. Just yesterday, Miss Carly Blakemore had arrived at Huntington Manor, and already she hated it. Why must I have chosen this post above all others! Because there had been no other governess postings, she reminded herself. Humph! She paced around her room in an effort to calm herself. “He is intolerable!” Pacing didn’t seem to be working. Her situation was pitiable, yet so many like her found themselves in this same situation. Like her sister. Carly sat on the settee and contemplated her sister’s governess position. Was she as miserable as herself? Dear Father! Please, no! Please, bless Susannah to be happy. Please, bless her to have a wonderful situation. Mine is only wretched because I work for a… Carly didn’t dare finish her thoughts. Instead, she continued her prayers in earnest. Only her second day, she considered how insufferable her time here at this manor might become. Oh! I must pray more! Her latest battle had become sore from the knowledge that her new master only wished to study her over these next few days in order to obtain a feel for her; in other words, she might not keep her position. “He is going about this all wrong! Doesn’t he know better?” she stomped her foot. Why did he have to watch her as if she was some laboratory experiment? Couldn’t he see that she was a good person? That she would teach his children well? She felt wretched. How could she function in such a household? Would she even be given the chance to try? “This is maddening!” To think she could still be sent from here was too much. There was no other place for her to go. How could she endure this constant worry? Carly knelt and prayed for what seemed like hours. She must not give up hope in all that she had overcome. She must believe in the answers to prayer that she had already received. This first page relies heavily on italicized thoughts that give us a first-person glimpse into Carly’s mind. I would recommend using this device sparingly, because a reader can get whiplash from a narrative that sways back and forth between perspectives. In the first paragraph alone, we have two italicized thoughts. These are distracting at a time when it’s crucial to snare and sustain reader attention. In the first instance, it feels like the wrong sentence gets the emphasis. It might read better like this: “Why had she chosen this post above all others? Because there were no other governess postings, she reminded herself.” I’d strongly suggest ditching the “humph” altogether. I’m not sure this is the first impression that you want your heroine to make. The emphatic indignation (plus her frustrated one-liners and foot-stomping) makes her feel a little histrionic, almost as if she is throwing a tantrum. I’m sure that’s not the intention here, so try not to overdo it when describing her frustration. Think hard about characterization. This first page does offer up some key biographical details about Carly: her trial position as a governess, her faith, her disdain for her master, and her separation from her sister. However, I wonder if Susannah is introduced too soon. We get only a paragraph of Carly’s story before the attention shifts to Susannah, a secondary character who is not immediately present at this stage in the story. Susannah does fulfill a greater purpose here: Carly’s prayer about her tells us how unhappy she is in her new position and how much she dislikes her master. Still, later paragraphs re-emphasize these points, so consider moving the first mention of Susannah elsewhere to keep the first-page focus on Carly’s immediate conflict. Make careful use of dialogue on a first page. We get a few exclamations from Carly (i.e., “He is intolerable!”; “He is going about this all wrong!”; and “This is maddening!”). These one-liners lend voice to a frustration we already know exists, so I’m not sure they’re necessary. If Carly is alone, there’s no need for her to say much out loud. My guess is that Carly will fall in love with her difficult master. The story has a Jane Eyre kind of vibe. Novels starring would-be lovers who initially dislike one another have kept the romance market healthy for centuries. I hammer home this point a lot, but it bears repeating here: Make sure that your characters are distinctive and that you offer a unique spin on charted territory. There is nothing wrong with taking on an age-old storyline; there’s a reason Jane Eyre–type stories still sell. But developing a fresh take on an old idea can be challenging, so call upon beta readers to highlight elements that might be cliché. Beta reading and manuscript critiques take time, but they pay huge dividends. Your book will come away from the process much closer to the finish line. As you all know I have eight children and I've learned a few things along the way about being a writer and a mom. 1. Sometimes my best story ideas come while I'm playing Barbies or cowboys with my little kids. So take the time to play with them. Then you can act out the plot with the Barbie and cowboy and the kids think it's a fun new game. 2. Don't talk about plot lines (especially terrorist plots) when you and your children are out in public. Well-meaning people can overhear and think bad things about you as a mother. 3. Encourage writing in your own children. When I'm sitting on the couch, scribbling in my writer's notebook, my children will often come over with their own paper and pen and make up a story. I love that and try to encourage it because no matter what imagination and communication skills are essential in this world. 4. Let your children see your successes and disappointments. I share my excitement over new books, good reviews, and royalty checks, but I also share my disappointments over rejections and such because I think it's important for them to see that not everything comes easy. If it's worth it, it's work. 5. We play people-watching games like making up backstories for people who pass by us. Sometimes I end up laughing so hard I have tears running down my face. It sparks my imagination as well as theirs. 6. Make up stories for them. Some of my favorite memories are of lying in a tent or a cabin between rooms and making up stories where my kids are the stars. Someday I want to write all of those down, so they can have them for their children, too. It's a worthwhile use of my storytelling, I think. 7. Don't ever make them feel like they are second to your writing. That's why I write in snatches, or in a notebook in the car, or when they're in bed. My family always comes first. 8. On the flip side of that, make sure the children know that sometimes Mom needs time at the computer. I have my Barney time or Caillou time and they know that while they're watching their show, Mommy is typing. 9. Sometimes kids (especially junior high or high school kids) have great ideas for villain and hero names, depending on how their day went at school. Of course, if I do use a name of someone at their school I always switch things up a bit so no one would recognize themselves if they read the book. 10. Share your research at the dinner table. At least the interesting parts. When I was writing Ribbon of Darkness, I talked/watched documentaries about cargo ships for a while and my kids know a lot of useless trivia about them. We've talked about oil leases (from Time Will Tell) the origins of Ring Around the Rosy (from All Fall Down), and we've also participated in collecting food and hygiene items for our troops because the military unit helping me with my research mentioned they missed having Skittles in the field. Some of these things have really bonded us together as a family and other topics have become fodder for family jokes. 11. I've learned how to type one-handed for those times when I'm nursing a baby at my desk or holding a child in my lap. A very useful skill for a mom/writer. 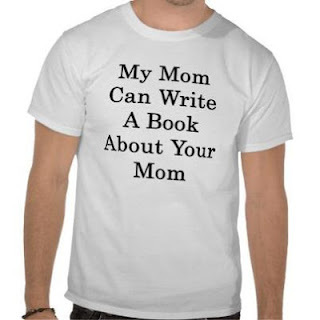 Have you learned anything by being a parent and a writer? Hello, my fine bloggy friends. Why am I so happy today you ask? Because I added just over 14,000 words to my manuscript and I'm *thisclose* to writing those magic words THE END. I am so very happy because I love this story and getting over that hump made all the difference. The muse has been very kind to me this past week. There was no Castle last night and the repeat of Hawaii Five-O was one of my least favorite episodes, so I read a book instead. And it was a very good book that I practically read in one sitting, so I definitely want to share my find with you. 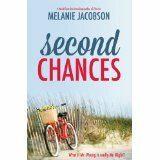 Second Chances by Melanie Jacobson starts out with two businesswomen/roommates who are trying to start a web version of The Bachelor but with a twist---it's a Mormon bachelor and it's to help jump-start the dating scene in Huntington Beach and launch her marketing company. Louisa, the owner, has the bachelor back out at the last minute (he got a girlfriend) and she's going to lose everything she's worked for (the girl is living on oatmeal packets and ramen as it is!) if she doesn't find someone quick. Enter her ex-boyfriend Nick, who is an actor. She broke up with him three years ago because he was sort of shallow and even though she would see flashes of depth in him, he never really let her in. (She still watches his show re-runs on late night TV, though) But, in her desperation that all her business plans not be ruined, she calls him and he agrees to be the bachelor for her. What follows is fun and quirky and made me laugh out loud. There is some real growth in the heroine during this story. With the set-up, I was expecting the guy to have changed and he would realize why she left and they would have their happily ever after. But this book isn't cliche like that. The heroine has some real growth as a person and for me, that sets it apart from the other romances I've been reading lately. I like it when you can have a fun story with some depth to it because it seems sort of rare these days. So, if you are looking for a can't-put-down book that has some great bachelor dating situations (read: funny), some romance with realistic characters that feel like your best friends, and a hero to sigh over, then this is the book for you. And as a bonus, Ms. Jacobson throws in an update on my favorite couple from her book The List. You may remember I complained a teeny bit in my review (you can read it here) that I didn't feel closure with them. Well, now I do. Thank you for that! At first I wondered how it would be for a murder mystery to take place on a ship where you can't really run away, but the author does a great job in giving us an edge of your seat whodunit that is made even more tense by the fact that they're on a ship. I didn't guess the killer, which was nice, but I also felt like I wanted a little more motivation from the killer. There were loose ends on why this person would do what they did that left me a little unsettled. But it was still a fun Sadie mystery. This one also included a good look at Sadie's relationship with her kids, but it hit a little close to home for me. 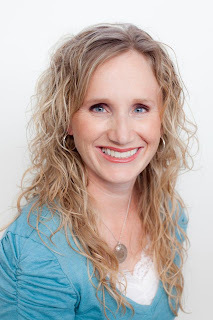 I've never taken an Alaskan cruise, or discovered a dead body, but I am an adoptive mother, like Sadie is, and my son is about where her son is at in the whole "meeting his birth mother" process. Without giving away any spoilers from the book, I feel as anxious as Sadie did to figure out her feelings toward the relationship her son was going to have with the woman who gave birth to him. It's so complicated and hard to explain, but I liked how Sadie dealt realistically with these issues. It was freeing for me in a way and maybe something I needed to read to work it out in my head. 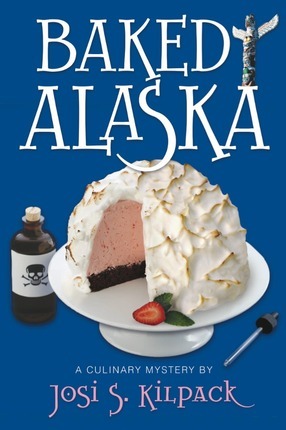 Baked Alaska is a nice twisty mystery with a lot of heart. You'll smile, laugh, and shake your head, but you'll also turn pages long into the night to make sure you don't miss even one beat of this story. I'm so glad Friday is here because it's time for First Page Friday! Thanks to Ms. Shreditor for her critique and to Brienne for being brave enough to submit. If you would like your first page critiqued, please follow the guidelines in the sidebar. See you next week! A new century had begun and on its dawning Bean was born. Outside was cold and the wind bit at the flesh, but inside the tiny, barely two room hut, Michael was sweating. Being the ship’s engineer and managing the furnaces, Michael was use to heat and sweat but this was an entirely new experience. He paced the room in nervous anticipation. Each cry, each curse cause him to jump and stare as if it was the first and entirely different from the last. The sounds were so horrific. More horrific than any Captain barking out order during an attack or an ocean tempest and Michael feared no living soul would emerge. The screams subsided and there was silence for a moment, Michael held his breath. Michael’s heart skipped several beats and his nervous anticipation turned to uneasiness and fear with the first infant cry. He stood still, eyes fixed on the door, behind it the birthing room. Subconsciously, he curled and flexed the fingers of his left, metal clad, hand. It was a slow rhythmic movement, one he has repeated regularly since the accident that scolded his skin from tip of finger to elbow. The metal glove was of his own design and construction, using the skills from his countless hours as a blacksmith apprentice prior to his unwilling career aboard stream vessels. The glove had soft leather that rested atop his damaged skin and under the metal cover. Both were secured on the underside where his skin had been spared. There was little left of pain, but the rhythmic movement, which had started to keep his hand from stiffening into a useless mangled piece of flesh, was now a soothing comforting motion that Michael only noticed when it was interrupted. The movement was interrupted by a baby being placed in his arms. The ships nurse, who knew less about birthing and babies than she did about sewing up a wound, had emerged from the room with a poorly wrapped bundle in her strong but seemingly frail arms. There is some strong storytelling at work here. Opening with Bean’s birth is a clear signal to the reader that this baby will factor prominently into the story. We watch the scene through Michael’s eyes, and we pick up some important details about him along the way: that he is a new father, that he wears a metal glove because of a past burn injury, and that he works as the ship’s engineer. The narrative moves along at a fairly fast clip thanks to the high level of suspense. Perhaps the greatest strength here, however, is the liberal use of sensory imagery. We feel the wind biting at Michael’s flesh, we hear the sounds of screaming inside the birth room (and the blissful moment of silence before the newborn Bean starts crying). There’s power in sensory details, and this story draws upon multiple senses to engage the reader. The problems here are at the syntax level. There are quite a few spelling and punctuation errors, verb tense issues, and some awkward turns of phrase that fog up the writing in parts. This piece needs a thorough copy edit before it’s ready for submission. Errors such as “ships nurse” (instead of “ship’s nurse”), “stream vessels” (instead of, I’m assuming, “steam vessels”), and “scolded his skin” (instead of “scalded his skin”) can, with just a few keystrokes, undo years of hard work. You may have fine-tuned your characters and worked on your pacing, but if your first page is riddled with mechanical errors, an acquiring editor will likely perceive it as lack of effort. As I mentioned in a recent column, the editorial process for your average book is pretty rigorous. An editor might be reluctant to take on an author who hasn’t polished his or her submission to perfection—or as close to perfection as one can get before professional editing—because a potential author needs to be ready for multiple rounds of editing on multiple levels. Manuscript acceptance/rejection is a complex process that hinges on multiple factors. One typo won’t necessarily sink a manuscript, and a total absence of typos won’t guarantee acceptance. However, you don’t want to lose out on a publishing deal because your compelling, well-written sample chapters haven’t undergone sufficient editing/proofing. Dig deep and take the time to review your writing line by line. If possible, find someone with fluent knowledge of American grammar to edit it. A story with this many intriguing elements is worth the effort. You will be happy to know that I had a breakthrough last night. I was revising the chapters and plodding along with my outline when it suddenly hit me. The main character is talking throughout the book about this major event in his life that has really affected him, but he only talks about it. What if I redid the first chapter and we experience that event with him? Then we can be as affected as he is, and his later interactions and difficulty getting through it are that much more impactful on us as readers as well. It was like a piece of the puzzle finally came together. The chapter literally flowed from my fingertips and it made the succeeding revisions that much better because we had seen and felt the same things he'd seen and felt. We were there, on the emotional map with him as it were. And it colored the perception of the story's events. It made it better. Stories are like a puzzle that we have to fit together. We have the characters, conflict, and setting that have to be balanced, but they also have to fit. It's a fine line for sure, but once you're on it, it's an exciting line. And I'm totally excited right now. David Farland gave a great Kick in The Pants Entry about Story Puzzles. It's well worth the read. And with my experience over the past while of frustration when my puzzle wasn't coming together, it feels great to finally feel like a master puzzlemaker. The conflict is working. My characters are awesome. And my setting seems perfect. And I realized finally that my story puzzle is beautiful. Do you see stories as puzzles? What do you do to work things out in your mind so the puzzle comes together? Well, last week I told you all about my plotting problems. This week hasn't been much better. I'm having a hard time sitting down and really focusing, mostly because I've had a lot of mom things on my plate, but partly because my motivation is pretty low right now. Sometimes being a writer is hard. It requires energy that can be hard to find. Yet, at other times, I can hardly contain my excitement and the words just flow. If only I could tap into that second one more often. I think about it a lot, but maybe I just need more action. Here's some quotes that I'm using for motivation today. Since I hadn't seen the first showing of last night's repeat of Hawaii Five-O, I was glad they'd given it another run. It was tense with Chin getting kidnapped by a creepy Baldwin brother. Although the first scene was awesome with both Danny and Steve punching the Baldwin brother in the face. Who hasn't wanted to do that a time or two? Then we have our Romeo and Juliet romance with Kono and her bad boy boyfriend. You knew it was going to come down to that---where she sneaks around to see what nefarious things he's really up to, even though he's claiming to go legit. I can already see this is going to end badly. Poor Chin waking up in prison. I think that would be a recurring nightmare for a cop. Holy cow, though, when Chin is thrown into that laundry room and that ginormous prisoner/crooked cop walked in? Edge of my seat right there. But, we have our resident cooperative jailbird to the rescue. I love them working together. Sang Min is so funny and gets a lot of great lines. The prison riot was awesome/horrible. The look on Steve's face when he realizes Chin is in the prison was really well done. He knows he has to get Chin out of there fast or he's a dead man. And Steve McGarrett hates feeling helpless. (His concern for Kono and not giving up on Chin was awww-worthy.) The whole tone was spot-on with everyone wanting to help Chin, but knowing he's on his own. Loved it. And the showdown with Kaleo? Wow. Although I have to say it was more than unrealistic that the three of them could go up against a prison riot like they did. And Chin only wanted to save the cute nurse? What about the guards? I guess you can't save/help everyone. I did like that Sang Min got away. He is an interesting character for sure. Lots of action, lots of great lines, and a happy ending. Something for everyone, right? I'm sorry I haven't posted before now. I've had my nose buried in a book. 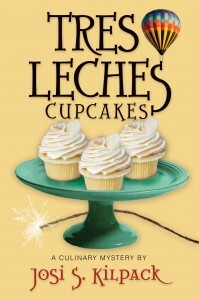 Tres Leches cupcakes stars my favorite Josi Kilpack heroine, Sadie Hofmiller and her latest adventure in Santa Fe, New Mexico. Sadie is still in hiding from a threat in Boston (I missed a book, so I'm not sure what that is! I need to go back and read that one.) She takes a job on an archaeological dig as a BLM informant. Everything is going along fine, no bumps in the road at all, until two "fresh" bodies show up at the dig and one of the best people they have goes missing. And she goes missing after a bar fight that Sadie is accused of starting. Haha! Seriously, the bar fight was one of my favorite scenes because it's so Sadie! She's whacking people around, and taking a few hits herself, as she's trying to get to the exit and then, of course is arrested. Her reaction to being in the cell with Bald Lily had me feeling so sorry for her and laughing all at the same time. The thing that I like about Sadie, though, is how much she's grown and changed from the first book. She seems so real in her reactions, her mannerisms, and how she just wants a normal life now. I like her moxie, I like her romance, and I like how well the mysteries are written. It was one of those books that I took with me everywhere I went today, so that even if I was stopped at a red light for a few moments, I could read another page or two. 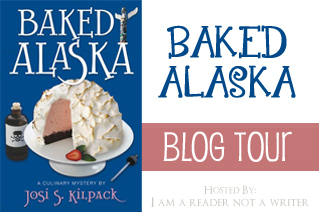 I'm set to read and review Baked Alaska next, where Sadie goes on a cruise and I can't wait. First Page Friday & Meridian Posted My Review! I am so excited today. Meridian Magazine posted a review I did of Jennie Hansen's new book, Where the River Once Flowed! You can check it out here I love doing reviews, and it is so nice to have it in a magazine like Meridian that has a wide audience. So, I'm celebrating today for sure. Today's submission to First Page Friday got some great compliments as well as some sound advice from Ms. Shreditor in their critique. If you would like your first page critiqued, submit your double-spaced 12 pt. 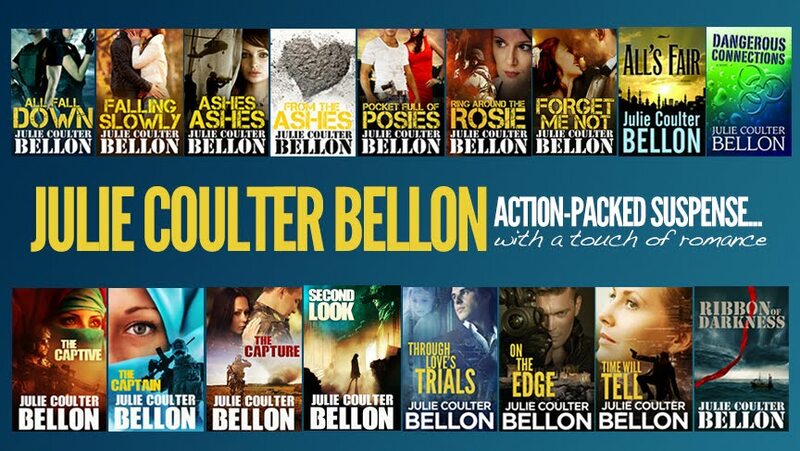 font first page to juliecoulterbellon@gmail.com with First Page Friday in the subject line. First come first served basis. See you next week! The words startled Noble. Up until now the conversation had been amicable. Noble let his arms fall to his sides. It’d been years since he’d stood in front of the twelve of them. To be honest, he'd hoped that they’d just forgotten about him altogether. Or found someone else to vent their frustrations on. It was a total surprise when the letter from the Ruling Council had been delivered by hand. Asking for a response before the courier would leave. He’d wanted to slam the door in the young man’s face, but he knew better than to make the Ruling Council mad. He also knew that it wasn’t the young man’s fault, and he was just the messenger. Besides he did have manners, the women in his life, insisted on him having some level of good behavior. “Why on Earth would you make up such stories? Do you take us for fools?” A woman with gray hair pulled back in a tight bun asked. Noble remembered this woman she’d been one of the largest rumormongers at his and Lyris’ wedding reception. “I am not making this up.” He stood mere feet from the head of the council. He refused to stand in the wooden square designed to humiliate the person being questioned. After years as the Ruling Council’s intended whipping boy he knew their tactics. “I’m rather surprised that you seem to have forgotten about it.” Noble clasped his hands behind his back, holding back the bite in his voice. His wife would be proud of his restraint. Noble was met with silent stares. Wow, a little sensitive there. There are some compelling elements at work in this sample. The one-word bit of dialogue at the beginning is provocative enough to grab reader attention, and the ensuing observation that the conversation had been amicable up until that point sets the stage for the argument that follows. (However, please do fix “words” in the second paragraph, as Christopher has only spoken one word.) By the time we’re done reading this first page, we know that Noble has leveled some pretty serious accusations against the Ruling Council, and the council seems none too pleased by them. The pacing in this scene works well. The narrative segues smoothly from Christopher’s incendiary opening dialogue to an explanation of how Noble has ended up before the council. The exchange that follows between Noble and various council members tells the readers what they need to know at this point: that he has angered some very important, potentially dangerous people. I think that what this piece needs is polish. There are a number of punctuation errors that are a bit distracting, plus a missing word in the second to last paragraph. This first page could benefit from a fresh set of eyes to clean up these issues. I would also suggest using sentence fragments sparingly. There are two of them in the third paragraph (“Or found someone else to vent their frustrations on” and “Asking for a response before the courier would leave”). If you read the passage aloud, you won’t come to a full stop before these sentences, even if you’re going for a more staccato rhythm. In the first instance, I’d use an em dash; in the second instance, I’d just use a comma. This story taps into a hot market: dystopian science fiction. As you develop your manuscript, make sure that it stands out on a shelf of similar stories. Evil ruling bodies are a dime a dozen in dystopian literature, so make sure that yours brings something fresh to the table. If the dystopian elements are too generic, acquiring editors will likely shy away from your book; therefore, it’s crucial that your story has a strong hook, something attention-grabbing in a crowded sci-fi marketplace. When in doubt, consult the classics—1984, Brave New World, Fahrenheit 451, We (considered by many to be the original recipe dystopian sci-fi), and others—for inspiration. The ingredients for a page-turning story are here, and with some line editing, I think it can get there.